The July Retail Sales figures where released by Statistics New Zealand on Monday (14 Sept). 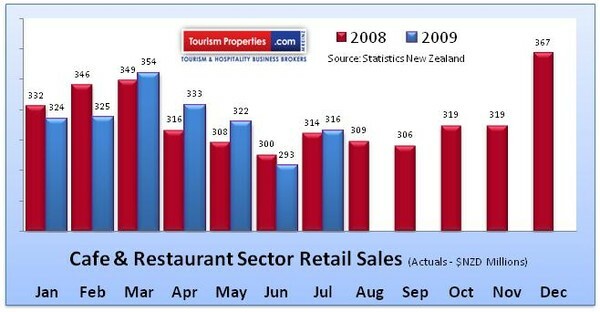 In the Cafe and Restaurant Sector actual sales for July were almost idenitical to those of July 2008 (see graph). On a year-to-date basis the same trend is evident with sales of $2,267 million, just $2 million ahead of the same period last year.